Mr. Herald has been a director of Solitario since August 1992. He has also served as Chief Executive Officer since June 1999 and President since August 1993. Mr. Herald also served as a director of Crown since April 1989, as Chief Executive Officer of Crown since June of 1999, President of Crown since November 1990 and was Executive Vice President of Crown from January 1990 to November 1990. Prior to joining Crown, Mr. Herald was a Senior Geologist with Echo Bay Mines and Anaconda Minerals. Mr. Herald currently serves as non-executive Chairman of Viva Gold Corp. Mr. Herald received a M.S. in Geology from the Colorado School of Mines and a B.S. in Geology from the University of Notre Dame. Prior to his appointment as COO in June of 2008, Mr. Hunt was Vice President – Operations and President – South American Operations of Solitario since June 1999. He also served as Vice President – Peru Operations from July 1994 until June 1999. Prior to its acquisition by Kinross Gold Corp. in August 2006, Mr. Hunt was Vice President Operations of Crown since 1994. Mr. Hunt has over 30 years of exploration, development and operational experience with Anaconda Minerals, Noranda and Echo Bay Mines where he served as Superintendent, Technical Services and Chief Geologist at Echo Bay’s Kettle River Operations. Mr. Hunt received his M.S. degree in Geology from the Colorado School of Mines and a B.S. degree from Furman University. Mr. Maronick has served as Chief Financial Officer of Solitario and Chief Financial Officer of Crown since June 1999 and served as Vice President – Finance and Secretary/Treasurer and Vice President – Finance and Secretary/Treasurer of Crown since September 1997. Prior to that, Mr. Maronick served as Vice President – Finance and Secretary/Treasurer of Consolidated Nevada Gold Fields Corporation from November 1994 to September 1997. 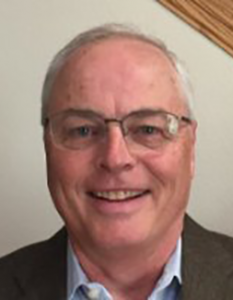 Mr. Maronick graduated with honors from the University of Notre Dame in 1977 with a BA in accounting and received his Masters degree in Finance with highest honors from the University of Denver in 1986. Mr. Labadie has been a director of Solitario since June 2006. He is an independent mining industry consultant. He also was a director of Crown from June of 2002 until August 2006 upon completion of the Crown-Kinross merger. Mr. Labadie has over thirty years experience in the mining industry including ten years with Miramar Mining Corporation from November 1996 to September 2006 as the Executive Vice President, COO. Prior to that, Mr. Labadie spent nine years with Echo Bay Mines, Ltd. as Vice President of Operations, including full operational and management responsibility for the Kettle River Mine in Republic, Washington. Mr. Labadie holds a Bachelor of Science degree in geological engineering from the University of Toronto. Gil was the founder, Chairman, Chief Executive Officer and a Director of Zazu Metals before its acquisition by Solitario in June 2017. Mr. Atzmon has over 30 years’ experience in the mineral resources sector. His career has included positions as a mining executive, investment banker, mining fund manager and geologist. Mr. Atzmon has participated in many global exploration and mining projects and has successfully arranged financing for the exploration and development of several mineral properties. In 2001 and 2002, Mr. Atzmon acted as Vice President, Corporate Development of Ivanhoe Mines Ltd. In 2000 and 2001, Mr. Atzmon served as a global energy and mining specialist in institutional equity and sales for BNP Paribas. From 1998 to 2000, Mr. Atzmon was Chief Investment Strategist and Portfolio Manager for US Global Investors, Inc. Mr. Atzmon holds a Bachelors degree in Geology and Geography from Columbia College, Columbia University and obtained a Master Degree in Energy and Mineral Resources from the University of Texas at Austin, Texas. 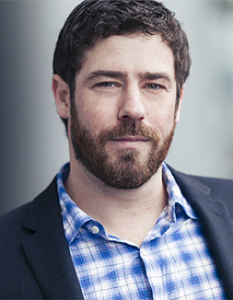 Mr. Joshua Crumb is an engineer and mineral economist with a wide range of experience in the mining industry. His career included roles in project/construction management, engineering design, corporate development, and metals market research and strategy. Mr. Crumb was recently the Senior Metals Strategist at Goldman Sachs, working for the Global Economics, Commodities and Strategies research division in London. Mr. Crumb also held various positions within the Lundin group of companies, serving as Director of Corporate Development at Lundin Mining, and Special Project Analyst for group chairman Lukas Lundin, and is currently a director of Astur Gold. Mr. Hesketh has been nominated to serve as a new director of Solitario. He is presently serving as President, CEO, and Director of Viva Gold Corp, a start-up exploration company listed on the TSXV, which owns an advanced stage gold exploration property near Tonopah Nevada. From March 2008 to December 2016 Mr. Hesketh served as President, CEO and Director of Atna Resource, Ltd, a TSX listed company that operated two gold mines in California and Nevada. Prior to that, Mr. Hesketh served as President, CEO and Director of Canyon Resources Corporation (2005-2008), a NYSE MKT listed mining company, which was merged with Atna Resources in 2008. Prior to joining Canyon, Mr. Hesketh served as Principal Mining Engineer and Vice President of NM Rothschild & Sons (Denver) Inc. (2000-2004) engaged in structured lending to the global metals and mining industry. Mr. Hesketh has proven leadership skills and broad based industry experience ranging from mergers and acquisitions to mining finance, to mine permitting, development, construction and operations, both domestically and internationally and under U.S. and international regulatory regimes. 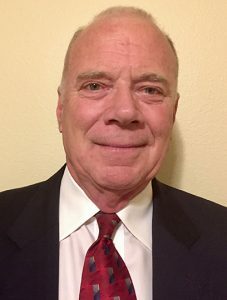 In evaluating Mr. Hesketh’s qualifications to serve as a director, the Board of Solitario believes that his formal training in engineering and economics combined with over 35 years of broad based industry experience and leadership makes him uniquely suited to serve on the Board. Mr. Hesketh holds a BS in Mining engineering and an MS in Mineral economics, both from the Colorado School of Mines. 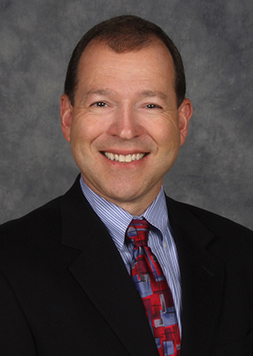 Mr. Labate is a seasoned executive with over thirty years of financial management and accounting experience. Mr. Labate is currently the Chief Financial Officer of Gold Resource Corporation (NYSE-MKT: GORO) and has served in that capacity since May 2015. From August 2008 to February 2012, he served as Senior Vice President and Chief Financial Officer of Golden Star Resources Ltd., a gold mining company with securities listed on the NYSE MKT and TSX. Prior to that, from March 2004 to August 2008 he was Vice President and Chief Financial Officer for Constellation Copper Corporation, a copper mining company with securities formerly traded on the TSX. Prior to March 2004, Mr. Labate held senior financial management positions in mining and technology companies, including chief financial officer positions at Crown Resources Corporation and Applied Optical Technologies. Mr. Labate received a bachelor’s degree in Accounting from San Diego State University.